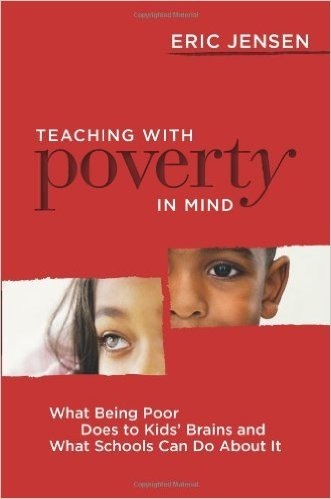 Teaching with Poverty in Mind: What Being Poor Does to Kids’ Brains and What Schools Can Do About It by Eric Jensen explains how the stresses encountered by poor students can impact their achievement in school and what schools can do about it. All schools should get some copies into their teachers’ hands. 1. Chronic exposure to poverty causes the brain to physically change in a detrimental manner. 2. Because the brain is designed to adapt from experience, it can also change for the better. In other words, poor children can experience emotional, social, and academic success. 3. Although many factors affect academic success, certain key ones are especially effective in turning around students raised in poverty. Eric points out that many poor students have not succeeded, and he claims that its due less to parents than to certain school-site variables that he thinks may surprise you. A goal of this book is to provide a better understanding of what poverty is and how it affects students. 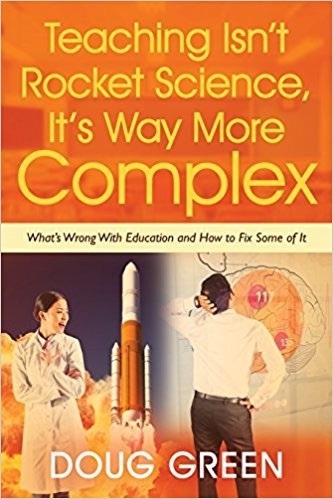 He goes on to explain what drives change within schools and inside a student’s brain. To help you make changes in your school and classroom, Eric draws on successful schools that serve poor children. This entry was posted on Sunday, November 13th, 2016 at 8:41 am	and is filed under Book Summaries, Education Books, Leadership Books. You can follow any responses to this entry through the RSS 2.0 feed. You can leave a response, or trackback from your own site.